Sportsbooks’ odds-makers like MyBookie have consulted the trusty old haruspex and come to the conclusion that World No. 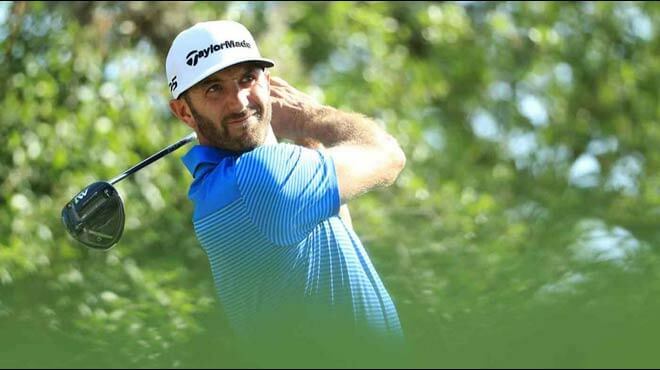 1 Dustin Johnson is the favorite to win the 2017 Masters Tournament, which will take place from April 6-9 at Augusta National Golf Club in Augusta, Georgia. DJ is en fuego, winning his last three starts – including the WGC Mexico Championship and the WGC Dell Technologies Match Play, which makes him the first player to win each of the four World Golf Championship events. Johnson has never won the Masters, though, finishing tied for 6th in 205 and tying for 4th in 2016. Winning the tournament this year would certainly be the proverbial feather in his Taylor Made cap. Johnsons is the man to beat, and below are some of the men that will attempt to beat him. Spieth won the 2015 Masters, and looked poised to win it again last year before choking in the back nine harder than CM Punk inside an octagon. As if preempt another meltdown in the near future, Spieth recently played a practice round with Comeback Kid extraordinaire Tom Brady at Augusta. That Tom Brady’s so dreamy. Really, is there, like, nothing he can’t do? What? Oh right, the Masters. Wee-Mac is tied with Spieth for second favourite to in the Masters at most sportsbooks. And that is very fitting, if one thinks about it. After all, in 2011 the Irishman was the youngest player to lead the Masters at the close of the first day. The next day, he shot 69 to lead by two strokes over Jason Day with a 10-under-par score. And the following day, he shot 70 to finish at 12-under-par, four strokes ahead of four other competitors. Sadly – for him – he shot the worst round in history by any pro golfer leading after the third round of the tournament on the final day. So he and Spieth do have something in common. Day has not won a PGA event since the Players Championship in May of 2016, and pulled out of the World Golf Championships-Dell Technologies Match Play following six holes because his mother was scheduled to undergo cancer surgery. Matsuyama finished 5th in the 2015 Masters and tied for 7th last year. The Japanese golfer tied for 51st place at the WGC Dell Technologies Match Play. Spain’s answer to Jon Hamm picked up his first PGA win at the 2017 Farmers Insurance Open, and had top 5 finishes in his last three starts – including the WGC Match Play to Johnson (no shame in losing to the best in the world). Thomas started 2017 season with back-to-back wins at the SBS Tournament of Champions and the Sony Open in Hawaii but his best finish since has been a top 5 at in Mexico. Then he missed cut at Valspar and finished tied for 39th at the WGC Match Play. And that wraps up this list of sportsbooks’ favourites to win the 2017 Masters.